This post relates to a poster at the American Geophysical Union Meeting in San Francisco in December 2012 that summarizes our work on uncertainty in climate science. (Thursday, 6 December, 1:40 PM – 6:00 PM, Poster Hall, Moscone South). There is also an oral session on Uncertainty organized by the same team: Wednesday, 5 December, 2:30-3:30, 3003 (Moscone West). 1. University Western Australia, Crawley, WA, Australia. 2. CSIRO Marine and Atmospheric Research, Hobart, TAS, Australia. 3. Australian National University, Canberra, ACT, Australia. 4. University of New South Wales, Sydney, NSW, Australia. 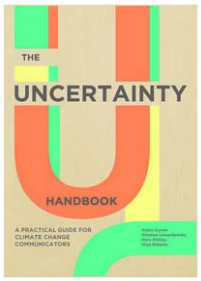 Uncertainty forms an integral part of climate science, and it is often cited in connection with arguments against mitigative action. We argue that an analysis of uncertainty must consider existing knowledge as well as uncertainty, and the two must be evaluated with respect to the outcomes and risks associated with possible policy options. Although risk judgments are inherently subjective, an analysis of the role of uncertainty within the climate system yields two constraints that are robust to a broad range of assumptions. Those constraints are that (a) greater uncertainty about the climate system is necessarily associated with greater expected damages from warming, and (b) greater uncertainty translates into a greater risk of the failure of mitigation efforts. These ordinal constraints are unaffected by subjective or cultural risk-perception factors, they are independent of the discount rate, and they are independent of the magnitude of the estimate for climate sensitivity. 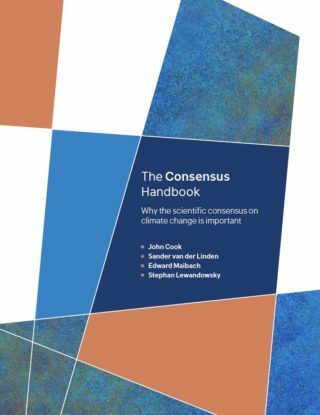 The constraints mean that any appeal to uncertainty must imply a stronger, rather than weaker, need to cut greenhouse gas emissions than in the absence of uncertainty. Uncertainty is not your friend. Uncertainty about the evolution of the climate system (operationalized as the variance of the sensitivity distribution) means that things could be worse than anticipated, rather than better. And in the case of the climate system, there is an inherent asymmetry such that uncertainty is more likely to cause nasty surprises than positive outcomes. There is another aspect of uncertainty that is not altogether comforting: greater uncertainty inescapably means that the damages from unabated climate change are likely to increase. That is, all other variables being equal, greater uncertainty translates into greater expected risk. 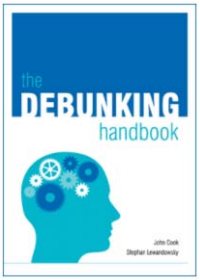 This fact rests on a single assumption, namely that the function relating global warming to damages is convex (i.e., accelerating), and all extant economic models agree on that point. We can even relax the convexity assumption when we consider sea level rise. It turns out that for some fairly straightforward and inescapable mathematicaly reasons, the risk of inundation increases with the uncertainty of future sea level rises. Once again, all other things being equal, greater uncertainty implies greater risk. Finally, uncertainty is also not a friend when it comes to mitigation. All other things being equal, greater uncertainty means a greater risk that mitigation might fail. A mitigation failure is said to occur when the carbon budget that would limit temperature increases to any agreed maximum is already exhausted by the time mitigation commences. This represents a failure because emissions cannot cease over night—by definition, therefore, mitigation will fail because we will necessarily exceed our budget. It is the probability of such failure that increases with greater uncertainty. The bottomline of all those strands of argument is that greater uncertainty means greater risk. Greater risk of damages and greater risk of mitigation failure. Any appeal to uncertainty therefore implies a greater need to cut emissions than if uncertainty were smaller.